© 2012 by The York Daily Record/Sunday News. 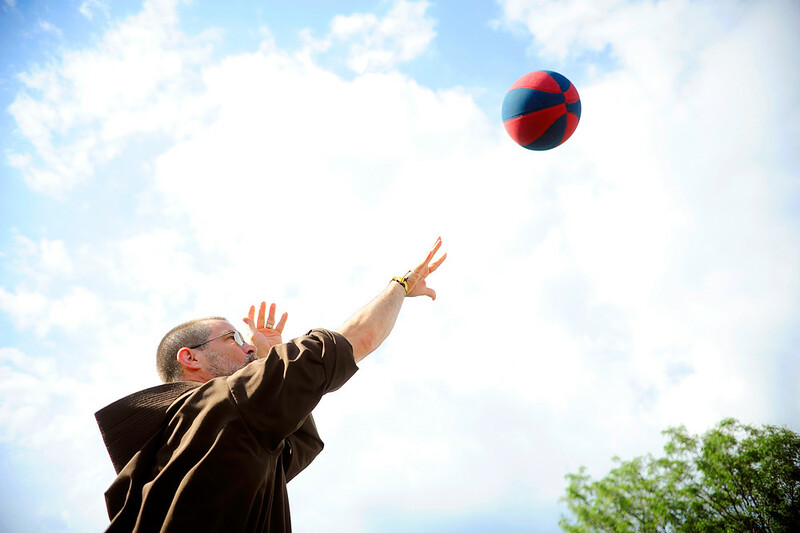 Friar Father Paul Dressler, visiting from Washington, D.C., takes a shot at a basketball hoop at the 21st annual St. Joseph Church Carnival on Thursday, June 14, 2012. Today was National Go Skateboarding Day, but with the heat index somewhere in the high 90s, it was too hot even to skate that much. © 2012 by The York Daily Record/Sunday News. Justin Updegrove, 18 of York Township, takes a swig of his Snapple iced tea drink as he and others skate down Vander Ave. toward Reid Menzer Memorial Skate Park on Thursday, June 21, 2012. Every June 21 is Go Skateboarding Day. 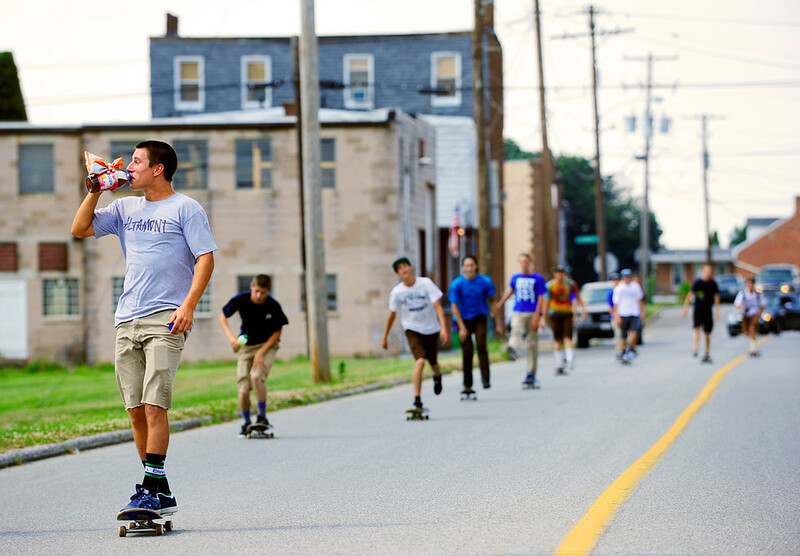 Local skaters met at Exist Skateboard Shop in Spring Garden Township, skated to Reid Menzer Memorial Skate Park and then to downtown York City. © 2012 by The York Daily Record/Sunday News. Shawn Eisenhart, 15 of Spring Garden Township, skates off the steps of the post office building on South George Street as Christian Hamberger, 17 of West York, rolls video on Thursday, June 21, 2012. © 2012 by The York Daily Record/Sunday News. 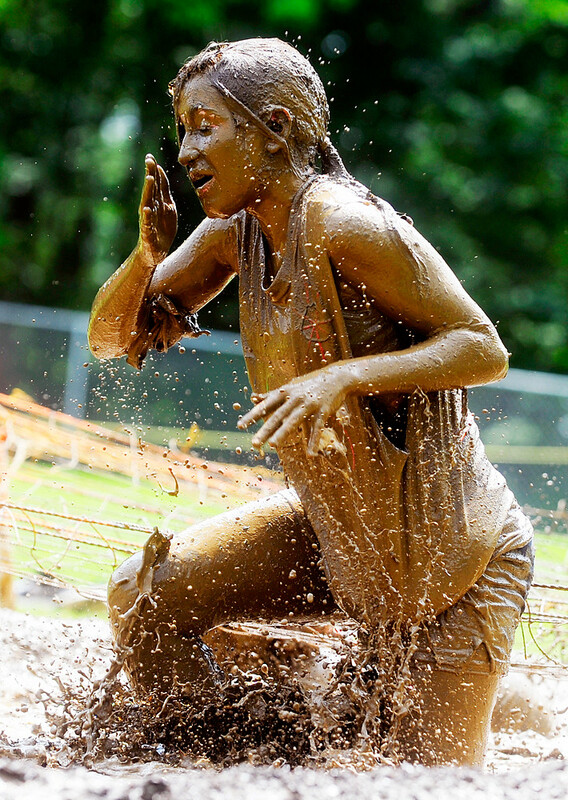 Dallastown Area High School sophomore Hannah Derricky emerges from the mud pit through which she and her teammates crawled in the dirtiest event in the school’s Down and Dirty fundraiser on Friday, May 25, 2012. Forty-eight teams, each comprised of five Dallastown Area High School students, competed in 10 obstacle courses to raise money for the Cystic Fibrosis Foundation and Team Shad. …After all, some students said it was actually refreshing. Despite the pervasive smell of mulch and dank, that is. 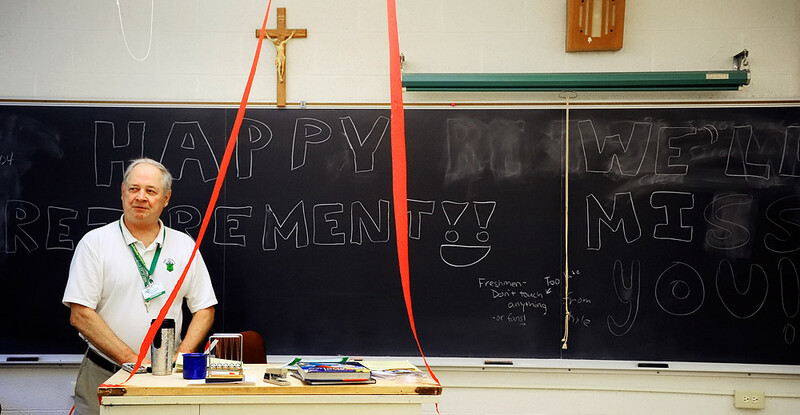 Earlier this month, a York Catholic science teacher had his last day of school in 44 years. Sam Spiese — who graduated from York Catholic in 1964 and returned four years later to teach — is retiring after teaching generations of students in the same school he attended. 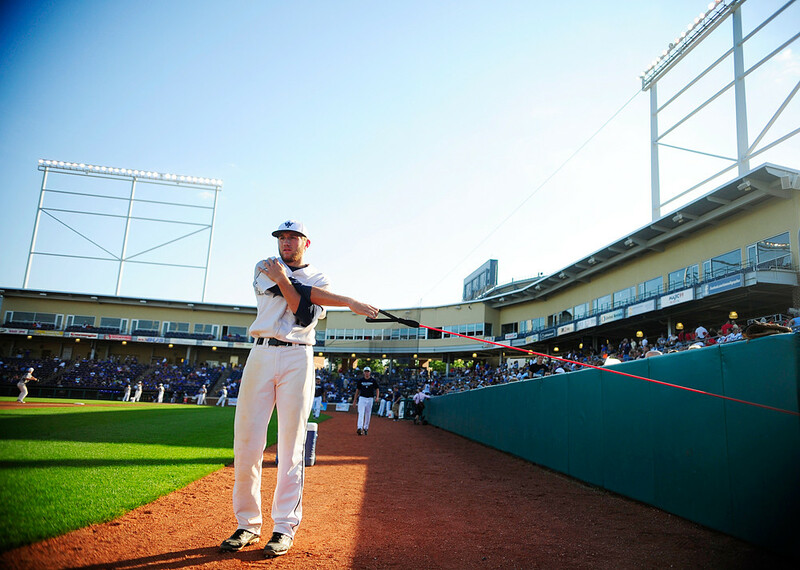 © 2012 by The York Daily Record/Sunday News. York Catholic science teacher Sam Spiese reviews a graded final exam with junior Katie Deats on the last day of school on Friday, June 1, 2012. As a former prep school student, I really enjoyed spending time with Spiese in his last few hours as a teacher. High school wasn’t that long ago for me, but being back in the halls of a private school populated with uniforms, antiquated desks and teacher-student relationships that are more akin to friendships really brought me back. © 2012 by The York Daily Record/Sunday News. 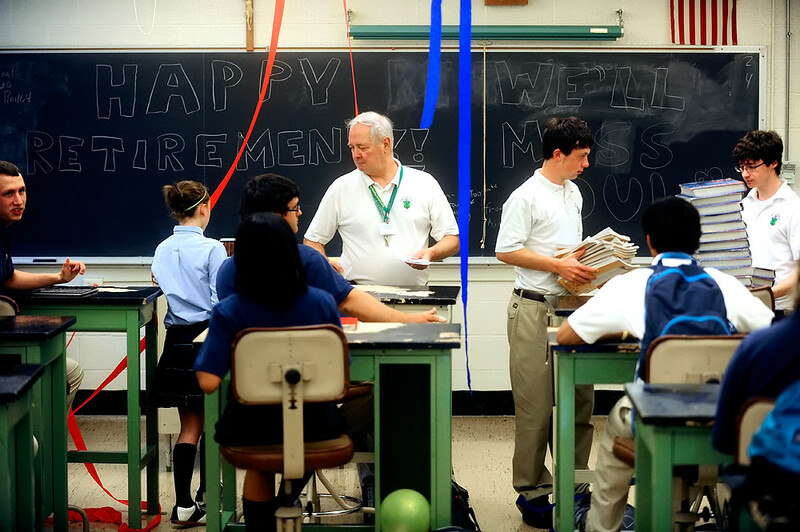 York Catholic science teacher Sam Spiese takes a moment in his empty homeroom classroom, which his homeroom students decorated in celebration of his upcoming retirement, on the last day of school on Friday, June 1, 2012. Yesterday, I went to State College not for Penn State (for once) but, rather, a local team making its first state championship baseball game appearance. West York, who had lost the district semifinal football game last fall to Lampeter-Strasburg, was facing them again — this time, for the state title in baseball. Sure enough, the West York Bulldogs delivered their comeuppance in a 9-6 victory over the L-S Pioneers. © 2012 by The York Daily Record/Sunday News. 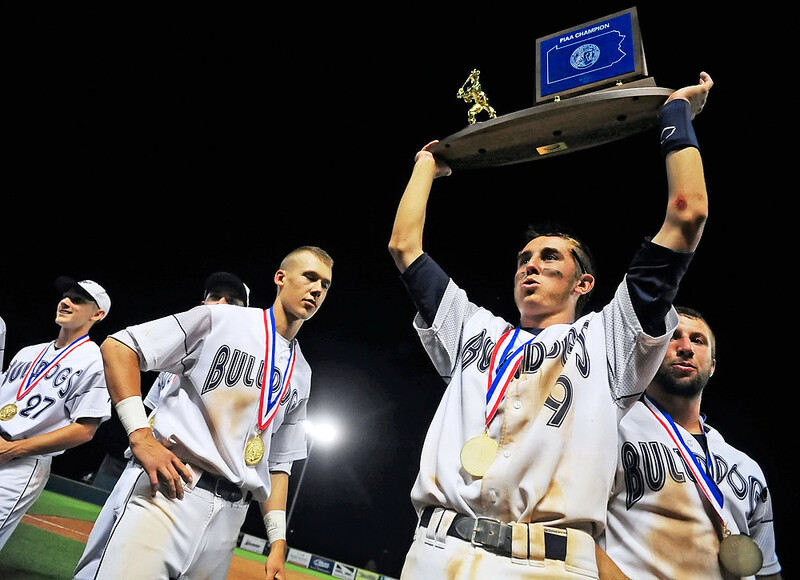 West York’s Brock Gladfelter hoists the state championship trophy toward West York fans after defeating Lampeter-Strasburg to win the school’s first-ever state championship in baseball on Friday, June 15, 2012, at Penn State in State College. As the only photographer sent to the game, I was responsible for two section fronts, a slideshow’s worth of photos, a video and, of course, a bit of social media as well. After some pre-trip brainstorming with editor Brad and fellow photographer Jason, I walked into the stadium three hours before West York and L-S took the field, and started working right away: I explored the stadium, found the team and didn’t stop until after the game was over. © 2012 by The York Daily Record/Sunday News. West York’s first baseman Brandon Kinneman kneels in prayer during batting practice at Medlar Field before playing the state championship game against Lampeter-Strasburg on Friday, June 15, 2012. Kinneman’s grandmother Maryland Slonaker passed away on Wednesday, June 13, and a post-victory huddle was held in the outfield in memory of Slonaker and others close to the West York team. © 2012 by The York Daily Record/Sunday News. West York pitcher Kaden Hepler stretches with a band before playing the state championship game against Lampeter-Strasburg on Friday, June 15, 2012. The game itself wasn’t my best in terms of shooting for action. Unlike any other high school baseball game or even any Revs game, I was pretty limited in my mobility by the officials as well as by the geography of the dugouts. But, as reporter John assured me, state championship games are all about emotion — and I did get plenty of that. © 2012 by The York Daily Record/Sunday News. West York’s Brandon Kinneman celebrates in a dogpile among his fellow players and coaching staff after defeating Lampeter-Strasburg 9-6 for the school’s first-ever state championship. © 2012 by The York Daily Record/Sunday News. West York head baseball coach Roger Czerwinski leads the team and staff in a moment of silence in the outfield in memory of family members and close friends of the team who have passed recently, before greeting West York fans after defeating Lampeter-Strasburg to win the school’s first-ever state championship in baseball on Friday, June 15, 2012, at Penn State in State College. Check out a slideshow of more photos, too. © 2012 by The York Daily Record/Sunday News. Spring Grove Area High School graduate Melanie Zavatchan leans over to move the tassel of her friend Carly Smith, to indicate Smith’s new status as a high school graduate, at the conclusion of the commencement ceremony on Friday, June 1, 2012. Smith suffered a traumatic brain injury when she was in the third grade, and Zavatchan has remained her friend and led fundraisers in support of her. Be sure to read more about Carly and Melanie in Tim’s article. I love Star Wars. I grew up on Star Wars. I thought the Force was real: When I was six or seven, I tried to make the pantry door open as I sat and stared at it from the kitchen table five feet away. On multiple occasions. So I was thrilled to be assigned to photograph local Jedis. With little kids. And lightsabers. On May the Fourth, naturally. © 2012 by The York Daily Record/Sunday News. Capital City Jedi Knights member Aaron Chernak waits as fellow Jedi Maranda Lender retrieves her lightsaber from a car trunk at the York Emporium on Friday, May 4, 2012. 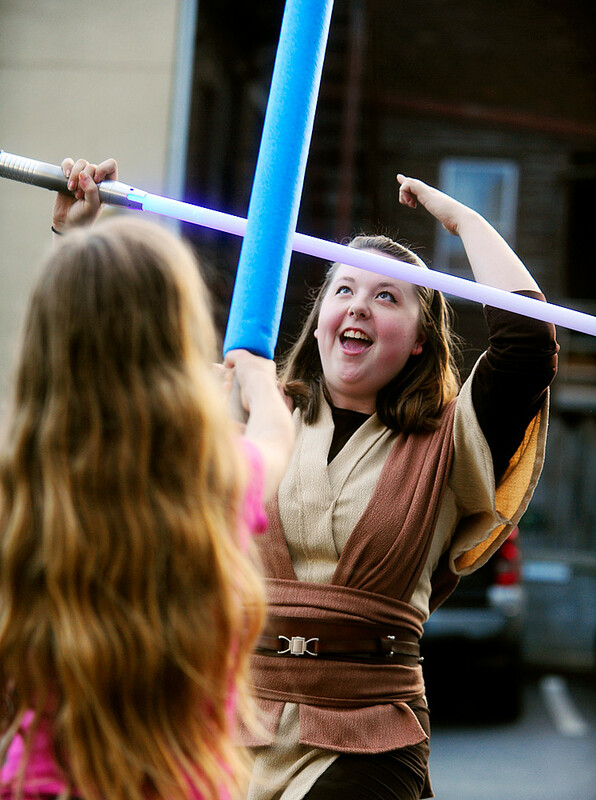 Capital City Jedi Knights, a non-profit performance group based in the Harrisburg area, does charity work by choreographing lightsaber fights and drawing in crowds for events at which they entertain. © 2012 by The York Daily Record/Sunday News. 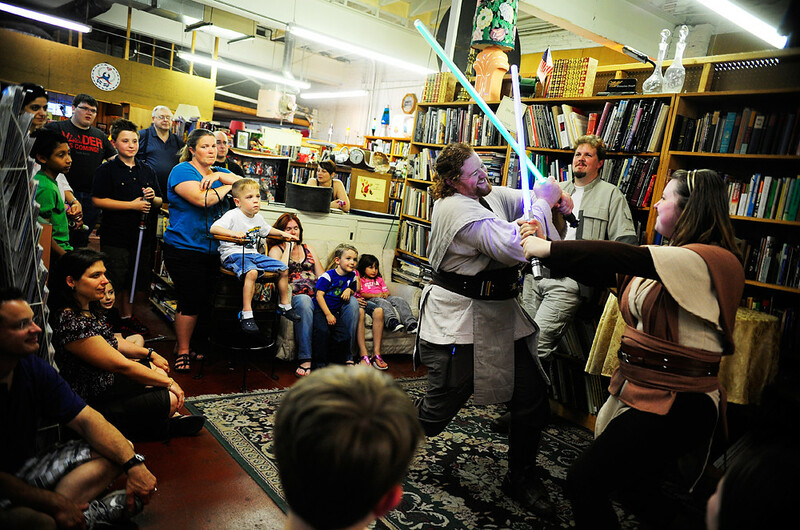 Capital City Jedi Knights members Aaron Chernak and Maranda Lender demonstrate some lightsaber tactics to a small crowd in the York Emporium on Saturday, May 4, 2012. © 2012 by The York Daily Record/Sunday News. 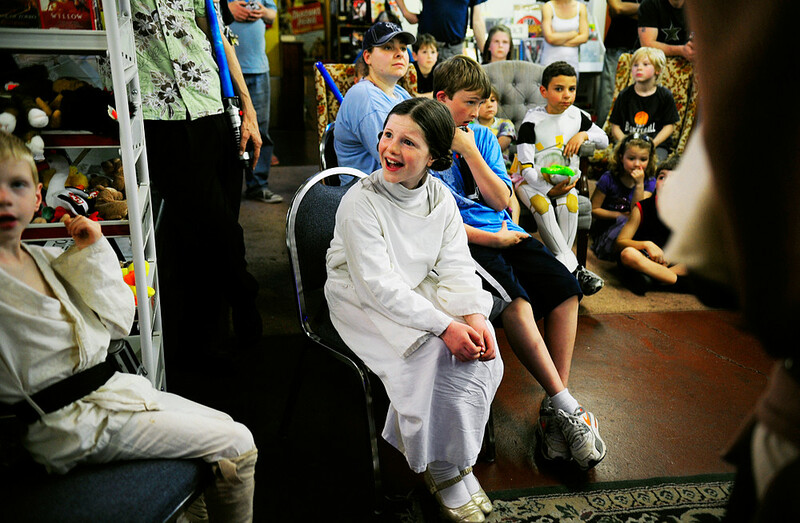 Laura Owens, 10 of Latimore Township in Adams County, mouths pleadingly to her father Sam, off-camera, after she found out during a Saturday, May 4, 2012, presentation at the York Emporium that the Capital City Jedi Knights and possibly Darth Vader were scheduled to make an appearance the next day at a comic book store. © 2012 by The York Daily Record/Sunday News. Capital City Jedi Knights member Maranda Lender teaches some lightsaber techniques to Katarina Holmes, 8 of West Manchester Township, in the York Emporium parking lot on Saturday, May 4, 2012. © 2012 by The York Daily Record/Sunday News. 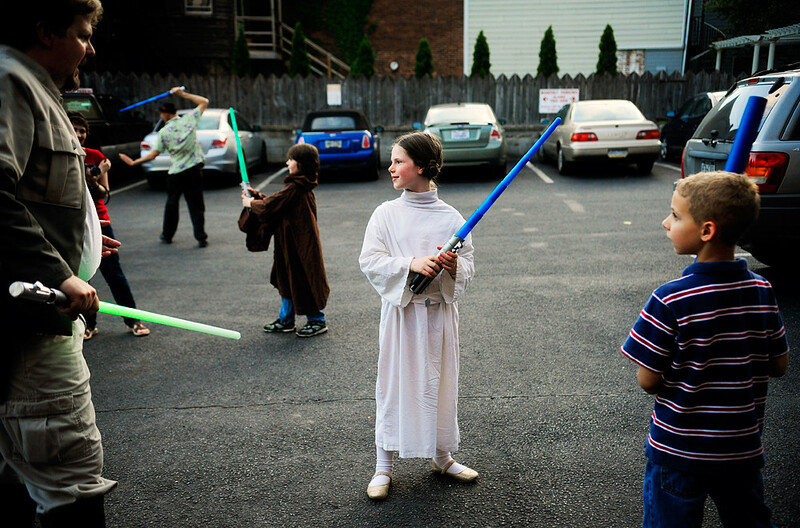 Dressed as Princess Leia, Laura Owens, 10 of Latimore Township in Adams County, takes a break from lightsaber training to watch a nearby Sith lord duke it out with another youngster in the York Emporium parking lot on Saturday, May 4, 2012. I’m from Houston, which means I can recall quite a few major storms wreaking havoc on my psyche as well as causing actual damage. Summers mean tornadoes and hurricanes, and I dreaded battening down the hatches every time a potentially dangerous storm threatened to roll through our area. Actually, I’m pretty sure my bedroom window in my parents’ house still has dried-out residue from when we duct-taped all the windows prior to Hurricane Rita, which was supposed to be Houston’s version of Katrina (but wasn’t, fortunately). In short, I’m personally not a big fan of big storms. But none of that matters, now that I’m a photojournalist. He later (today) revealed that he had visions of my car getting lifted into the air — with me in it. At the time, I was more concerned by the amount of water on the road, how I could avoid hydroplaning and whether I’d make it to Spring Grove in time to cover their commencement ceremony for two newspapers. As I made my way through the waterlogged roads of southern York County, I happened upon some tornado damage. Except, I didn’t know it was tornado damage. Pieces of Styrofoam littered the road, so I followed the trail with my eyes and saw, just off the road, that a big metal roof was blown off a home and a large tree branch had been split from the trunk. I turned off the road to check out the damage, but there was no one anywhere. No emergency crews, no puzzled or distraught homeowner. There wasn’t a way for me to quickly ascertain whether that damage had just happened or occurred a while ago. I returned to the main road. Then, emergency vehicles passed me going in the opposite direction. So I turned around and followed them… right back to the house I’d just checked out. I didn’t find out until a week later (today), but turns out I’d encountered the only confirmed tornado damage in the county. © 2012 by The York Daily Record/Sunday News. 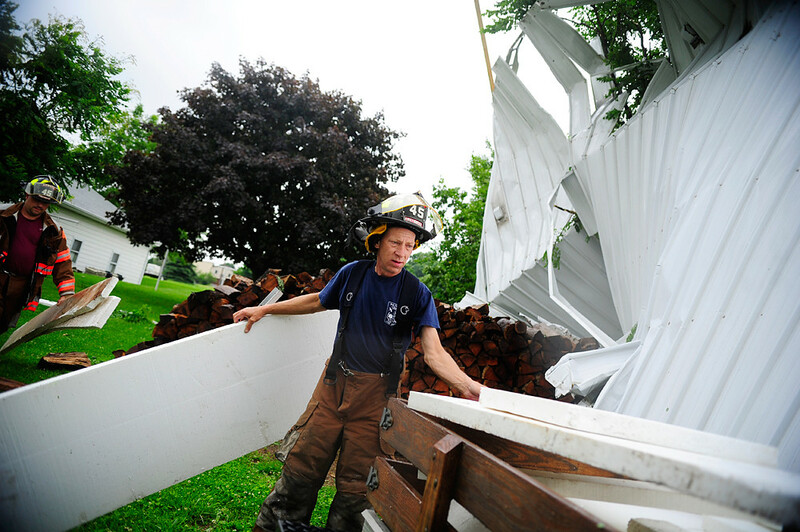 Winterstown firefighter Rick Dean helps collect the Styrofoam insulation that was scattered after the metal roof of Larry Miller’s North Hopewell Township trailer home was blown off and came to rest against a tree near his wood pile on Friday, June 1, 2012. The aluminum roof of Larry Miller’s trailer home in North Hopewell Township was blown off during the storm on Friday, June 1, 2012. Miller, 67, was not inside his home at the time, and said the roof that was blown off was constructed above an already-existing metal roof on his home. © 2012 by The York Daily Record/Sunday News. 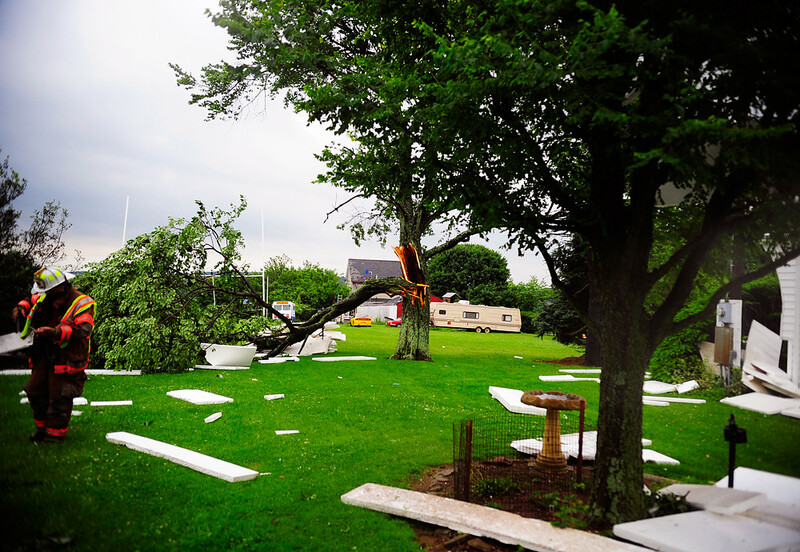 Styrofoam insulation and a broken tree branch litter the yard behind Larry Miller’s North Hopewell Township trailer home after a storm passed through on Friday, June 1, 2012. 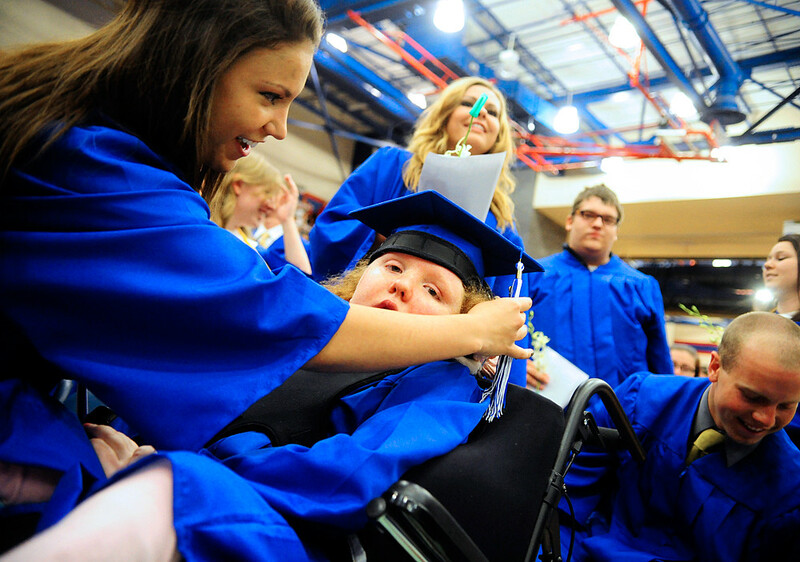 …and then went on to Spring Grove to photograph graduation. Which, I suppose, will be my next blog post. I had only shot one track-and-field competition — and, since I was to focus only on the track events, I had never shot any field events — until I was assigned to make pictures of Jared Allison. © 2012 by The York Daily Record/Sunday News. Dallastown’s Jared Allison ties up his training shoes as Palmyra Springs senior Shawn Mayer watches Cumberland Valley senior Chase Gehr use the rings before they all began a pole-vaulting training session on Wednesday, April 25, 2012, at the indoor training facility VaultWorx in Camp Hill. 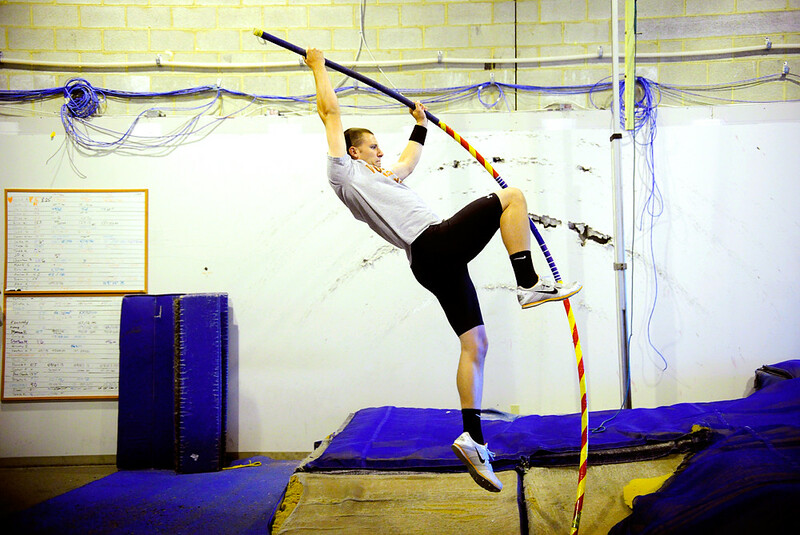 Dallastown’s Jared Allison — one of the best pole vaulters in the state — trains at VaultWorx, which is an indoor facility in Camp Hill. At the time that reporter John and I followed Jared during one of his pole-vaulting training sessions at an indoor facility, the high school senior had his eye on breaking the state record and capturing the gold at the state championships, which were about a month away. © 2012 by The York Daily Record/Sunday News. Dallastown’s Jared Allison works on his lift method during a training session at the indoor facility VaultWorx in Camp Hill on Wednesday, April 25, 2012. I did my best in the indoor facility. The light situation was terrible. One end of the large, tall-ceilinged room was lit with blue-white fluorescents, the other end (where the landing pad was) was lit with dim orange lamps and finally, just beyond the landing pad, were windows that let in a good amount of sunlight. Not the ideal situation for decent white balance. But I had fun. Pole-vaulting is such a fundamentally strange sport, as John alluded to in his profile of Jared, and I had never shot it before. So it was a challenge on multiple levels — lighting and exposure, the novelty of the sport — but it was fun. © 2012 by The York Daily Record/Sunday News. 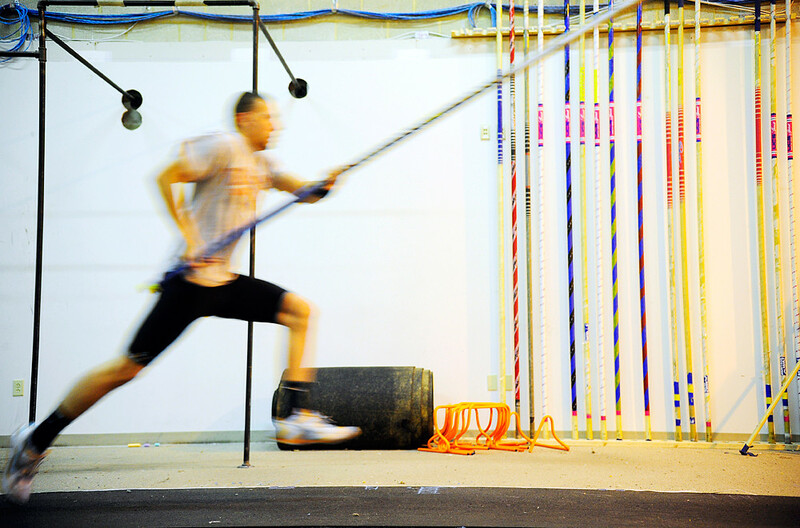 Dallastown’s Jared Allison runs with the pole during a training session on Wednesday, April 25, 2012, at the indoor facility VaultWorx in Camp Hill. Be sure to check out John’s full article, which includes more photos. And as for the state championship? Jared didn’t get the gold or break the state record — but that’s okay.